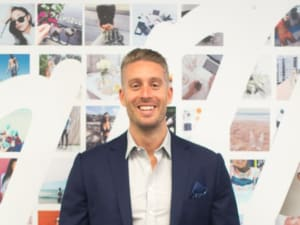 Aaron Brooks says brands and marketers shouldn’t panic, protest or be pessimistic about the new Instagram algorithm – rather they should harness it the smartest way possible. A lot of brands, bloggers and marketers appear to be in something of a spin since the announcement of the rollout of the new Instagram algorithm. And so far, after sifting the fallout, the reaction amongst agencies in recent trade press seems divided roughly into four or so camps. What I’d like to do now is look at each of these trending camps and ask the question which is really the smartest stance to be taking long-term – and what does it say about many social media marketers’ strategies moving forward in Instagram’s new playing field. These are the ones who immediately hit the panic button and took to Instagram with “PLEASE TURN ON OUR NOTIFICATIONS” posts to secure their followships. We all saw the deluge fill our own feeds and it was promptly (and quite rightly) satirised. Justifiably, the solution for dealing with the changes to Instagram is not for brands to bump audiences for notifications. If anything, it smacks of desperation and is more likely to make consumers switch off, which is the exact opposite of what brands or Instagram want. Our advice to brands was not to do this for reasons which should already be pretty intuitive for savvy social strategists. These are the ones who have vehemently decried the changes. Railing against the new algorithm online, they seem to be claiming that this will automatically mean the suppression of all organic content, citing the Facebook model as case-in-point. Before anyone waves placards saying this spells the end of life on the social platform as we know it, consider that the ultimate responsibility for Instagram is the user’s experience on the platform and creating the best experience for the community. You know these guys. They’re the ones who have come out with an air of resignation, stating that the new algorithm was “inevitable”, that they “saw it coming all along” and that once again we need to “adapt or die”. Their commentary seems to be that brands will simply have to roll with the punches, pony up and pay for presence on the platform from now on. In other words, accept that Instagram arbitrage is now well and truly over, and the reality that paid social spend budgets will need to be raised accordingly in order to maintain presence on the social platform. While paid social is definitely part of the plan moving forward, this response is still quite defeatist. Like the protester camp, it also seems to suggest that “organic social is dead’. All of the aforementioned camps fail to recognise that brand-served content won’t automatically see audience engagement boom anymore… the most engaging content will be liked by followers, and by virtue, automatically filter to the top of the pile. Right now, the synergy between influencer and brand is where the new arbitrage exists. Which is where we get to the fourth camp, and for want of a better name, I’ll dub them the pathfinders. These are the ones who have, quite rightly, remained relatively calm about it all. They seem to grasp that Instagram’s new algorithm is really all about the meritocrisation of good content - not the suppression – and that in order for them to continue engaging their audiences they need to harness that system. While I wonder why they weren’t doing that in the first place, he has hit upon a phrase that does speak to the obvious solution in strapping a saddle on Instagram, and it’s this: a more creative lens. Moving forward, brands will increasingly be seen and engaged with through the creative lens of social influencers. Influencers who produce stunning visual imagery are the future vehicle for brands and marketers to harness – so long as said brands are willing to relax their grip on the creative process and the way in which their product is interpreted and reflected in their audience. It’s about prompting influencers to create something authentic to their audience, and not preaching through them like puppets. If anything, allowing the talent creative freedom will be the key to success on the platform. When that partnership works, it’s something that the Instagram algorithm will reward rather than penalise. Instagram will be first to tell you that social influencers already producing relevant authentic content with high engagement rates don’t have to change anything in how they’re practicing. They don’t need to be worried about a silly algorithm at all, and most of them aren’t anyway – they’re too busy creating! Which is why we need to see the algorithm as a new challenge, yes, but one that serves us all well by getting us to pay attention to our audiences and reaping the rewards. Our advice to clients is that it’s actually going to help consumer audiences see more of the moments they genuinely care about first – the great pieces of content, incredible images, interesting videos, etc. At the end of the day, the new Instagram algorithm is not something to be grumped over, gamed or paid off. It’s not a new code you need to solve or an obstacle course to negotiate. Rather, it’s a swift current that brands need to learn to swim with and not against. And the strongest swimmers are already the influencers, so why not catch a ride? By Aaron Brooks, co-founder of influencer marketing company Visual Amplifiers (VAMP).